A psychotherapist with a small private practice, Jodie likes things orderly and predictable, mapped out well in advance. Jodi's husband Todd, a thriving entrepreneur, is intuitive, spontaneous, and fond of taking risks. Their home, a sumptuous waterfront condo on North Westshore Drive in Chicago, has spacious rooms, plush carpets, and an unimpeded view of the lake stretching to the horizon. Jodi takes pleasure in the tranquil routines of her life: walking the dog by the water, seeing her few, carefully selected clients, practicing her culinary skills, and enjoying a martini with Todd when he gets home from work. Todd's success in business makes their comfortable life possible, and for this Jodi is willing to overlook his occasional indiscretions. She is good at keeping silent and giving him space, makes a habit of turning a blind eye...until the day comes when he goes too far. Jodi loves her life, and she's willing to kill for it.
" A deliciously wicked pleasure...I love books where I can't guess the outcome." "Left me almost breathless as I raced toward the devastating finale." "Reminiscent of Gillian Flynn's Gone Girl, Harrison's fiction debut is at once coolly detached and heartbreakingly accurate." What do you think? Sounds like an awesome read, doesn't? Well, believe you me, it really is! I absolutely loved The Silent Wife - it was the epitome of an unputdownable read! 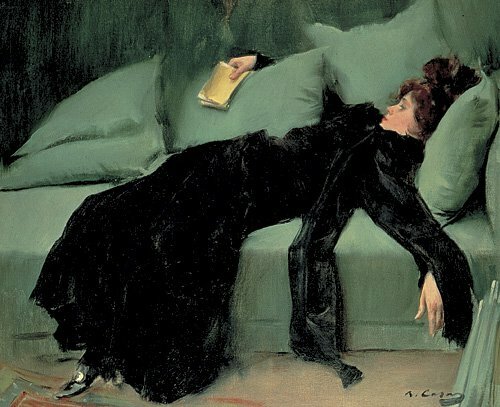 I spent all night turning page after page until I got to the end and after that I just couldn't fall asleep. All I could think about was this dark and twisty read - it seriously haunted my dreams (when I eventually fell asleep several hours later). And, truthfully I have nothing but great things to say about this book. Harrison's writing was terrific - it captured the suspenseful mood of the story perfectly. I was on edge so much that I started biting my nails - ugh! It was seriously that intense! As for the characters - OMFG! They are crazy, unforgettable, and unlikeable; I was mesmerized by them! The story itself was just BEYOND!! I couldn't believe the ending - Whoa! This is one of my favorite reads so far this summer (which I know has only just begun) and I am excited to share my copy with my sister - I just know she is going to love it!! Plus, I plan on telling my family and friends to pick up a copy STAT!! 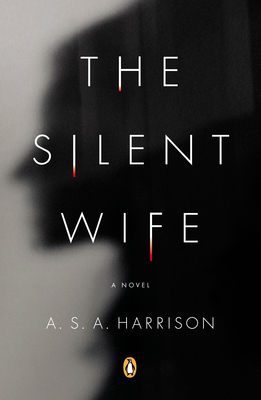 As for you all, go out and get your hands on The Silent Wife - you will love it!! On a side note, I just wanted to mention that The Silent Wife is A.S.A. Harrison's first fiction novel and it is also her last. Sadly, she passed away earlier this year and was unable to see her novel published. Based on this book, you can tell what an amazing and talented author she was. RIP A.S.A. Harrison. Anything that has Gone Girl compared to it captured my interest. Will check it out! Thanks to your glowing review I've just added this to my wish list. Natalie, that's why I included the blurb about Gone Girl - I knew it would catch people's interest :) But comparisons aside, it really is a terrific read - enjoy!! Jennifer, you will love it!! Ooh, wow. Thanks for such a great review. I definitely want to read this. Hearing so many great things about this - might have to go order it ASAP. Sounds like a thrilling, heartpounding read.